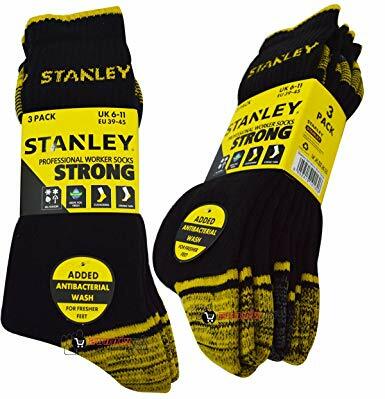 Stanley work socks comes in a pack of 3, its high cotton fabric means its highly breathable and has an added toe comfort ready for a hard days work! Comes in Black with yellow heel. 52% Cotton, 21% Polyester, 15 % Acrylic, 10%Nylon, 2% Elastane.